Home » Interest » What New Year resolution’s do you have planned for your pets? Don’t Drop the Ball on Your Pets!! 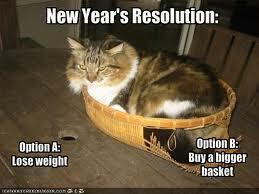 What New Year resolution’s do you have planned for your pets? While you’re busy jotting down your resolutions for the new year, don’t forget the furry friend at your side giving you a paw of encouragement. Whether it’s running your first marathon, eating healthier or taking on a new hobby, your pet could be hoping and wishing to make it on your list of resolutions. Believe it or not, Fido and Fluffy have a few bullet points on their to-do list that might match yours. Let us be the first to tell you exactly what your pet hopes for in 2013.